NM Group will be attending Aboriculture 2019, in Alice Springs on the 19th - 21st May. We will be exhibiting during the event as well as attending and taking part in a number of the discussions going on. 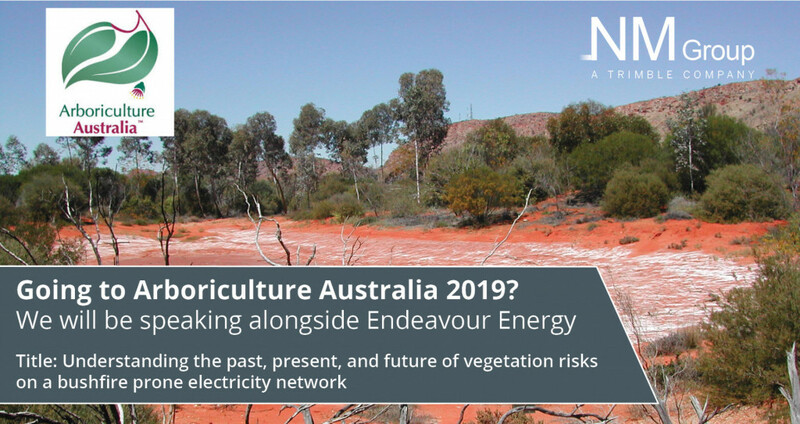 Make sure you come and see our speaking slot, alongside Endeavor Energy on, "Understanding the past, present and future of vegetation risks on a bushfire prone electricity network with geospatial analysis". We are looking forward to discussing industry challenges, new technology and of course catching up with colleagues during the event. See you there. Read more about our Utility Vegetation Management service.